Join the fanatical Spanish at the final Grand Tour of the year. Hard climbs make La Vuelta the most entertaining of all 3 week stage races. Spain offers luxury accommodation, fine cuisine and a relaxed culture. Spain hosts the final Grand Tour of each year and is regarded as most entertaining of all 3 week stage races. Spain offers luxury accommodation, fine cuisine and a relaxed culture. Scheduled at the back of the season, the Spanish grand tour fosters new talent and gives opportunity to riders seeking retribution from an indifferent season. Mountain stages in every week of the tour often favours the climber. Recently, the Vuelta has created the best racing moments of all grand tours. The Spanish are fanatical, and fanatical about their cycling. Quiet villages awaken for the passage of the professional peloton. 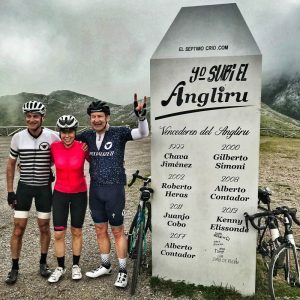 The most fearsome climb of all grand tours, Alto d’Angliru is located in the Asturias and as touted by race organisers “a Grand Tour without Angliru is like a 15min football match or a 5km marathon”. 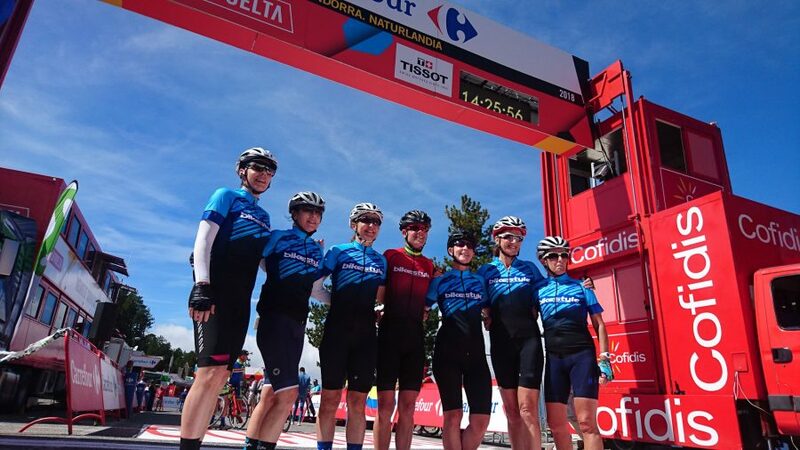 Each year Bikestyle Tours hosts guests to the final 10 to 12 days of the Vuelta, depending on the route. Typically this includes visiting the cycling paradise of the Asturias, the “green spain” of the Cantabrian coastline, the fanatical Basque country and the Pyrenees. Logistics permitting, our trip finishes in the famous Arts district of Madrid for the final stage.